A report published, underlined what was called a “tremendous opportunity” in the global Islamic economy. Dubai, which is already known as one of the leading financial hubs in the world, is on track to achieve the targets to become ‘the capital of the Islamic economy’, according to a top government official. In January 2013 this vision was announced by His Highness Shaikh Mohammed bin Rashid Al Maktoum, Vice-President and Prime Minister of the UAE and Ruler of Dubai. Last October, Shaikh Mohammed unveiled a strategic plan in this regard for the emirate. The plan includes seven key pillars and 46 strategic initiatives. Last November, a report published by the Dubai authorities and Thomson Reuters underlined what was called a “tremendous opportunity” in the global Islamic economy. 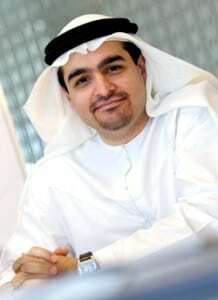 The study found that the market has a potential value of $6.7 trillion, bigger than the US and China.“Dubai has extremely strong infrastructure as a foundation and we are confident that this foundation will help us to achieve these initiatives within the time-frame,” Abdulla Mohammed Al Awar, chief executive officer, Dubai Islamic Economy Development Centre (DIEDC), told Khaleej Times on Monday. DIEDC is expected to appreciably advance the Emirate’s seven-pillared strategy to establish itself the capital of the Islamic economy within the given time-frame, according to Al Awar. Last December, Al Awar named CEO of DIEDC. The appointment decision comes after Shaikh Mohammad issued law No 13 for 2013 regarding the establishment of the Dubai Islamic Economy Development Centre and decree No 42 for 2013 regarding the formation of its board of directors to be chaired by Mohammad Abdullah Al Gergawi, Minister of Cabinet Affairs. It is important to highlight that who is going to implement these initiatives, Al Awar said, adding: “So our work in the future will be to coordinate with government bodies to implement these initiatives.” The DIEDC will also assess any new idea and its board will determine the adoption of the new initiative. Law No 42 of 2013 details the basic objectives of the Centre, which will have legal personality and financial and administrative independence as well as the legal capacity necessary to direct all actions and behaviours to achieve the goals of the Centre, including promotion of the Emirate of Dubai to become the global capital of Islamic economy, promotion of economic activities compatible with Islamic law in goods and financial services sectors, as well as the non-financial sector as a main pillar on which the economy of the Emirate is based. The key objectives of the Centre include promoting Dubai regionally and globally as a main centre for Shariah-compliant goods and financial and non-financial services, building a database on Islamic economic activities and encouraging recourse to arbitration in related Islamic economic activities disputes. Al Awar mentioned that various potential launches are lined up but will be announced at the right time. “It is important to associate the launch of initiatives with global events,” he explained. He said that since the announcement of this new initiative, many of these initiatives have already been launched such as the Dubai Global Sukuk Centre, the Dubai Centre for Islamic Finance, the Global Islamic Economy Summit and Islamic Economy Award. He also highlighted important features of the seven pillars. These pillars include the establishment of Dubai as an international centre for Islamic finance, Halal industries, Halal tourism, the Islamic digital economy, the capital of Islamic art and design, a centre for Islamic economy standards and certification, and international centre for Islamic information and education. He mentioned that Halal products are becoming more popular in non-Muslim communities, for their nutritional value, and observance of good health standards in food products, cosmetics, and others. It is estimated that trade in halal products will continue to grow at rates more than 4.8 per cent on annual basis and expected to reach about $6.4 trillion by 2020, creating investment opportunities estimated at $2.9 trillion.